Green Explored: Is the Problem the fuel or the fool? This week my blog draws upon an article that appeared in this weekend’s Haaretz a newspaper in Israel. The article written by Aluf Benn is copied below. This is a well written article by an intelligent man. Alas Aluf you like Thomas Friedman and many other popular columnists have never studied thermodynamics and you all wish for a green brick road that simply replaces the incredible energy content of oil with fanciful photovoltaic cells and batteries. Your call for natural gas vehicles is the only plausible partial solution to transportation fuels. Not so Shy Agassi is Lost in Space with Better Place and bio fools (fuels) are plain dumb like 99.99% of humanity. So I challenge you to think not of the alternate fuel but of the alternate lifestyle. Your article should not deal with the alternative to petroleum but the alternative “western lifestyle” that is not based on conspicuous energy consumption. That we have to use a car to buy a loaf of bread or get a cup of coffee from Starbucks is the problem. The fuel in the car is not the problem. That we live 40 miles from our jobs and move our fat asses driving alone in a 4,000 pound hunk of steel is the problem. That we have houses that are 4,000 square feet with lawns that are 40,000 square feet is the problem. That we eat 4,000 kilo calories a day of meat and processed food is our problem. That we don’t recycle aluminum and plastics is our problem. That we have religions that want us to go forth and multiply is our problem. The best use of a chemical is probably in birth control not a battery and that no leaders of religions or countries will tell the 7 billion folks who walk erect that their birth rate is a problem. That Yemen has seen population growth of almost 4% a year for 40 years is the problem. That we have almost a billion internal combustion engines firing up every day is the problem. That we use the resources of three planet earths is a problem. Mostly that otherwise intelligent people like you can be led around by the nose by a thermodynamic fake like Shai Agassi is the problem. Wake up there in Israel Shai is not an energy Prophet he is just making a profit out of energy. "What about a revolution in oil dependency? As the countries owning most of the planet's oil reserves confront growing political turmoil, the economic stability of the whole world will remain at risk - until an alternative to petroleum is developed. The repeated warnings that the world economy is relying on a dwindling resource lying deep down in the earth, underneath unstable states, are proving true before our very eyes. The popular uprising in Egypt and the civil war in Libya have sent prices soaring at gas stations. And this is nothing compared to the growing fear that Saudi Arabia, the most important state in the world oil economy, will also ignite in the flames of revolution. If the Saudi oil industry enters into a period of crisis and uncertainty, the soaring prices could undermine the world order. The petroleum era began 150 years ago at a drilling site in Pennsylvania and since then consumption has only gone up. Petroleum is more convenient to produce, transport and use than any other energy source. 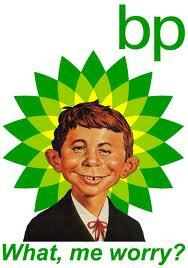 Of the 10 biggest companies in the world, five are oil companies. There is no other commodity that is so affected by political developments and that has such a great influence on the global balance of power. The graph of oil prices during the past 40 years precisely depicts the relations among the major powers. The soaring prices in the 1970s in the wake of the Yom Kippur War and the revolution in Iran had a very negative effect on the status of the United States - the world's largest oil importer - and strengthened the Soviet Union, whose economy relied on exported energy. The crash of oil prices at the end of the 1980s toppled the USSR. Its economy was not able to bear the burden of maintaining the Soviet empire without the flow of petrodollars. The price of oil shot up again in 2008 and presaged the world financial crisis, which knocked out America and undermined its self-confidence. The big beneficiary that time was China, which also imports oil but whose economy is still less dependent on it than that of the United States. The financial crisis led to a political turnaround, which brought President Barack Obama into power. Oil prices dropped again, and revived with the rise in demand last year. Ultimately, America's weakness affected the oil exporters: The shock waves sparked by the financial crisis are now causing the collapse of the regimes in the Arab countries, which enjoyed the sponsorship and protection of the United States. Cars, ships and planes, and a large proportion of the trains in the world, are powered by gasoline or diesel fuel. The modern way of life depends entirely on these means of transportation. Gal Luft, an Israeli researcher who during the past decade has been preaching to the Americans about "energy security," gives an example in a lecture that everyone understands: In certain rural or suburban communities in countries like the United States, it is impossible to buy a loaf of bread without getting into the car and driving to the store. This means that without available petroleum, these areas' inhabitants will simply starve. In large cities like New York and Chicago, the trains may run on electricity, but the supply of food from the countryside to the city depends on petroleum. The United States guzzles up about one-quarter of the world's oil production. Last year for the first time, the Chinese surpassed the Americans in overall consumption of energy (from all sources and for all uses ). The more the Chinese migrate from the countryside to the city and move from bicycles to motor vehicles, the more they need gasoline and diesel fuel. Today China consumes about one-tenth of the world's oil production, and according to the British Petroleum forecast it will surpass America in 2030. The Chinese demand for petroleum, more than any other factor, will dictate developments in the global energy market. Most of the oil from the Middle East is already being exported to Asia, mainly to China and Japan. Until now, America has been in control of most the sources of supply, thanks to defense treaties with Saudi Arabia and the Gulf emirates, and the military occupation of Iraq. In the coming years, there will be sharper competition for control of the oil wells between America and China, which today supports Iran. The new regimes that will arise in the Arab countries will no doubt try to shake off the American embrace and play the powers off against one another in order to increase their own influence and their economic profits. Global oil consumption is now at a record peak of about 88 million barrels a day. The two largest producers are Russia and Saudi Arabia, which together supply about one-quarter of the market. The largest proven reserves are also in Saudi Arabia. Only that country has surplus production capacity, by which it is able to take up the slack in the event that one of the smaller producers is in trouble - as is the case now in Libya. All the other exporters are pumping oil at their full capacity. Like nearly everything else in the oil market, the extent of Saudi Arabia's reserves and its production abilities have been the subject of doubt and are enveloped in conspiracy theories. The figures, however, are less important than the expectations, which dictate the price and the consumers' behavior. When Saudi Arabia coughs, the economies in the West and in Asia tremble. The energy crisis in the 1970s led to the decline in the use of oil as a source for electricity production. It was replaced by coal and natural gas. This transition was relatively easy in the electricity economy, where it is necessary only to get the fuel to a few fixed power stations, as opposed to the millions of cars driving on the roads. Now the time has come for a change in transportation as well. Gasoline and diesel fuel have three possible replacements: fuel produced from vegetation (biodiesel ), natural gas converted into vehicle fuel, or electricity. The use of electricity affords the most flexibility because its infrastructure can be set up nearly everywhere, and its energy can be supplied from a number of sources: from fossil fuels like coal and natural gas, from nuclear reactors, and in the future also from wind and the sun. These sources of energy are not concentrated in a few countries, most of which suffer from instability and are not democracies - as is the case with petroleum reserves. If we travel in electric cars, or cars fueled by natural gas, we will not be concerned about the thrones of King Abdullah of Saudi Arabia and his counterparts in Kuwait, Qatar, Bahrain and the United Arab Emirates. Electric or natural gas-powered cars will not solve the problems of the environment, air pollution and global warming. At most, they will move the soot and the stink from the streets of the crowded cities to the chimneys of the power stations. Their benefits will be political and strategic, not environmental. Only when the technological breakthrough occurs in the development of renewable energy from the sun and the wind will it be possible for electricity to be green as well. At present, however, it is necessary to deal with the politics of energy and not to fantasize about a pristine world without pollutants. Prime Minister Benjamin Netanyahu correctly identified the need to free the world from petroleum and initiated a national program to develop alternatives. After delays and bureaucratic arm-wrestling, the plan was approved in the cabinet last month. Within the National Economic Council headed by Prof. Eugene Kandel, a small administrative apparatus for the project has been established. The project leader, Sagi Dagan, is looking for small-scale initiatives that could bring about the change. There is a precedent for this in the world of the Internet, where Israeli companies have earned influence and a significant market share in essential niche areas like encoding. At the NEC they believe that with a push and aid from the government, more Shai Agassis will arise here. The challenge that will be facing them is enormous: According to the British Petroleum forecast, electric cars will have an effect on the market only 20 years from now. This is a transitional period, during which the influence of the oil producers will reach its peak in the face of swelling demand. America and its allies, including Israel, will have to maintain as much strength as possible as they face these days of rage. The faster the alternatives to petroleum reach the market, and knock it off the top of the heap, the better. The revolutions in the Arab countries are sounding the alarm to get moving on the change that is so essential to the energy economy." Well Done. I prefer this discussion to just beating people up. As you say, the problem is not the fuel in the car, it is the fool in the car. It is a mentality fostered by a seriously deficient (nahh, criminal) media and education. We continue to live in a state of seriously destructive denial. If we wish to claim the moral and intellectual high ground, just how intelligent is it to ignore the way we live will result eventually in the complete collapse of our our life support? Forget moral. If we can quietly allow our government to burn up petrol like there is no tomorrow killing folks on the other side of the planet with no end in site for based on the lies of multiple administrations, we apparently do not give a damn about there being no tomorrow. Why do we refuse to acknowledge we need to treat our planet as the closed system it is? How long would we expect to live in a 10 acre biosphere with this mentality? And by extension how long do we expect the bigger biosphere we call earth to continue to provide us a livable environment before it collapses?